bread was very thin, moist, flaky on some parts, and slightly sweet. The curry broth served as a dip which simply made this pair great! 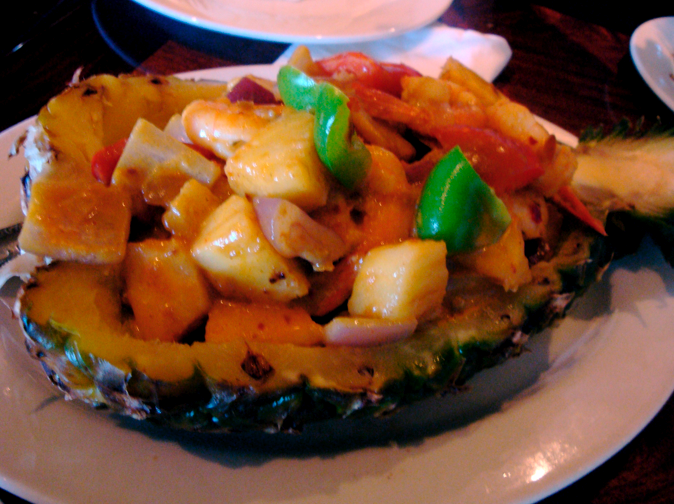 Pineapple Shrimp served on a pineapple. etc, and covered with curry. Vegetable Curry came to us boiling and sizzling in a hot pot. The vegetables included were eggplant, long beans, okra, cabbage, and tomatoes. We also noticed from the last dish how much Malaysian food influences Filipino food by the mixture of foods used. 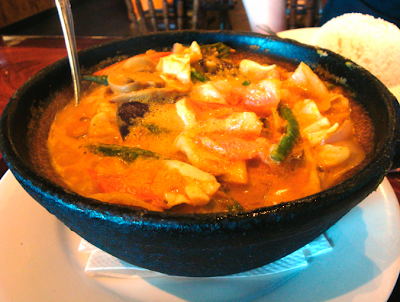 The Vegetable Curry reminded me of Sinigang (one of my favorite Filipino dishes). I just found it so interesting that the vegetables used are almost exactly the same! 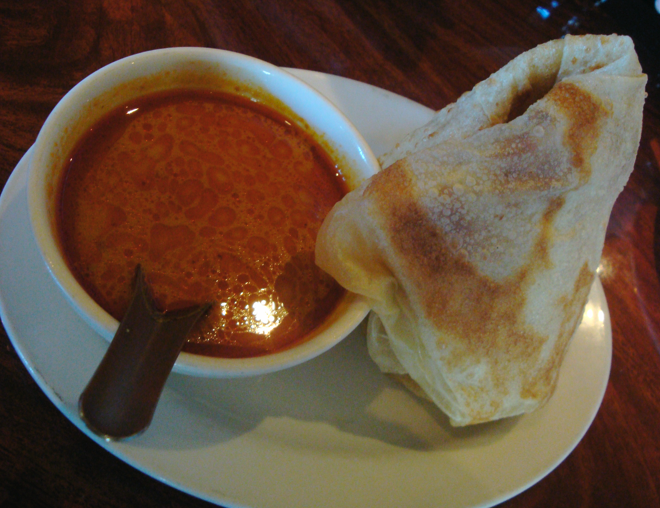 As for the Malaysian curry, it was lightly flavored and not as thick compared to Indian and Thai curry. It was a great experience coming here to see how much cultural cuisines influence each other, I'll definitely come back here to try more Malaysian food!